The player characters are passengers or crew members on the Astral Splendour, a luxury liner built by United Starlift. The ship is the first of the type and is on her maiden voyage, having just completed shakedown cruises and certifications. She is making a run through several star systems, showing off the design and transporting passengers from the Core to the Frontier. She will then make a return journey by a different route before plying a fixed route of four to six worlds primarily within the Intermediate region. The Astral Splendour is the first adventure for Spica Publishing’s Outer Veil setting but could be set in any game universe with a little adjustment. Full starship statistics and deckplans for the Astral Splendour. Requires the use of the Outer Veil sourcebook available from Spica Publishing’spage at DriveThruRPG.com and the Traveller Core Rulebook available from Mongoose Publishing. You can purchase The Astral Splendour as a PDF to download from Spica Publishing’s page at DriveThruRPG.com. 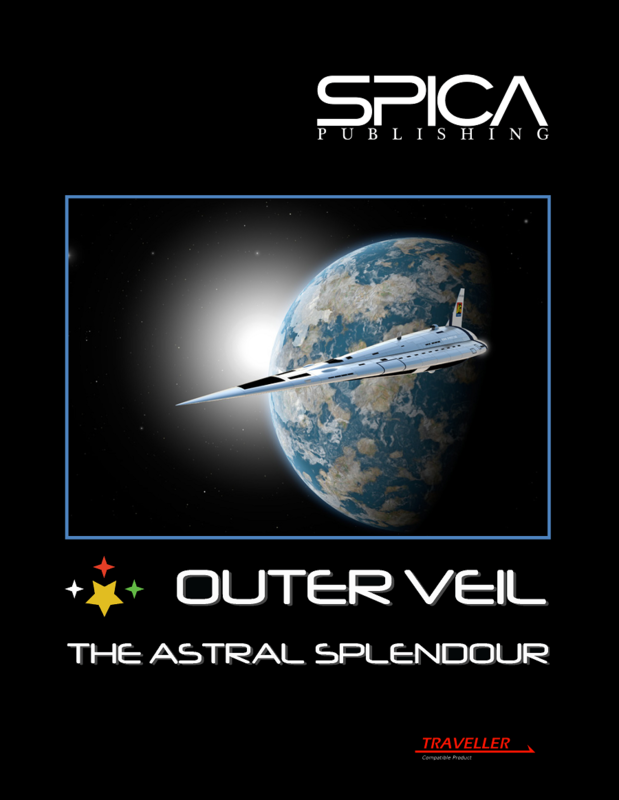 The Astral Splendour © Spica Publishing 2013-2015. All rights reserved.